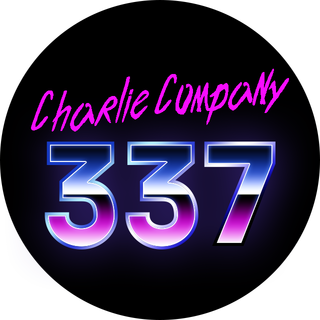 Welcome to Charlie Company 337! Currently we're the most active PC group on THE100.io and we're only going to grow. We can't wait to see you in game! Please be sure to join our Discord server. We have a pretty active group on Discord so drop by say hi. Discord also comes in handy for organizing larger games and using for voice chat in games where the in-game voice communication could be better. Click the link below to join up! First of all, thank you for joining our group! Gaming is much better experienced with other people. By joining us, and joining games, you will have tons more fun than playing by yourself. Please be sure to join us on Discord (see the link above). While it's not required for most games, some group leaders prefer it and it is required for custom games. Also make sure that your THE100.io username matches your primary gaming platform tag (battlenet ID, Steam ID, etc). This makes it much easier for group leaders to send invites. If you are uncomfortable doing that, be sure to send a friend invite to your group leader before the scheduled start time. Have a Group Event Idea? There are no group events currently scheduled. Do you have an idea for an event? Throw it up on the100 or run it by the leadership team if you need help organizing. Do a quick loot run, I guess. Would like to do Scourge after. 40 completions & still no Anarchy.